Teresa offers a FREE first / introductory lesson! I have a BSc from IADT (2006) in Multimedia Programming and MSc from Trinity College Dublin in Technology and Learning (2013). I love learning and feel empathy for adult learners returning to education and facing whatever technologies they need to master to get through their academic years. Teaching Council and Garda Vetted Teacher/ Tutor since 2009. 11 years Teaching experience in web design, e-learning platforms(Moodle), one to one computer literacy and digital literacy, conversational Spanish and Teaching English as a Second Language. My methods are learner centred using a combination of new methodologies (brought about by modern technologies) and existing ones that relate to adult education. 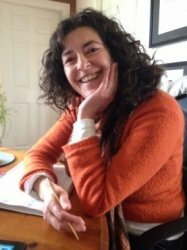 TeresaFrom Sandra (5/5): (Junior Cycle Spanish) Teresa is a very nice person, and is doing great work on Junior Cert Spanish. Reply from Teresa: Thank you Sandra. TeresaFrom Brigid (4/5): (Adult / Casual Spanish) Teresa is a very nice person and I am still attending lessons with her.